Pumphrey Law Blog What is a Notice to Appear? First and foremost, if you receive a notice to appear, commonly referred to as a “written arrest” you should contact an attorney immediately. This is a serious accusation, and should be treated as an arrest (technically speaking it is an arrest). The criminal defense attorneys her at Pumphrey Law handle these cases regularly and are prepared to protect your rights. If you have been issued a notice to appear in the state of Florida, call our office any time at 850/681-7777 to set a free consultation. Police often use a notice to appear when there is probable cause to arrest a college student. The police know that the tie to a community such as Florida State University (FSU) or Florida Agricultural and Mechanical University (FAMU) will guarantee a person’s appearance in court. A notice to appear is an arrest where the arresting officer does not take you into custody. The name is quite literal, its purpose is to put someone on notice they have an obligation to appear. Failing to sign the notice to appear will not absolve you of any further punishment or remove any obligation to appear, instead the officer will take you into custody at that point. Failure to appear will result in an issuance of a warrant of arrest under Florida Rules of Criminal Procedure 3.125(h). When the notice to appear is issued, it is done so “in lieu of physical arrest” under Florida Rules of Criminal Procedure 3.125(a). They are issued for misdemeanors of the first or second degree or a municipal or county ordinance. They are no less serious in weight than a traditional arrest, simply less burdensome than spending time in jail. A notice to appear, as previously mentioned, is an arrest. If you or a loved one are interested in getting a NOA from a drug charge, DUI, etc. off your record, contact our office now. 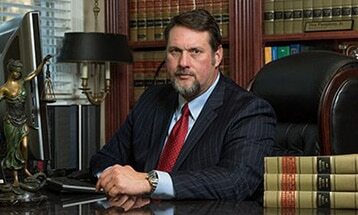 Pumphrey Law is experienced and ready to look into your Florida DUI Expungement. Aside from what a notice to appear means, and what it represents, the next question recipients usually ask is, what’s going to happen? The notice itself will tell you where and when to appear before the court. At that time you will have the opportunity to waive the right to counsel and enter a plea of guilty, nolo contendere or a plea of not guilty. It is highly recommended to consult with an attorney before that time, every case is unique and each of these options could carry substantial legal ramifications for the rest of your life. If a plea of guilty or nolo contender is entered, the court will likely enter judgment and sentence right there. Alternatively, if you plead not guilty, then a trial will be set to determine guilt. A properly experienced attorney will be able to assist in making the decision which is best for you, and possibly avoid punishment through a pretrial diversion program in Florida. If you have been issued a notice to appear in Leon county, or anywhere else in Florida feel free to contract our office any time at 850/681-7777 to set a free consultation with one of our experienced attorneys.